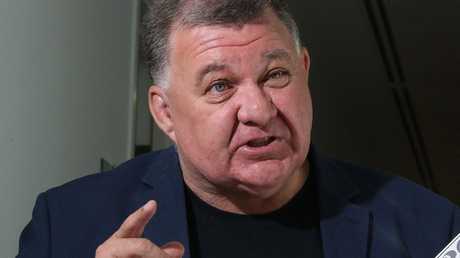 Former Prime Minister Malcolm Turnbull is furious at plans to automatically preselect Craig Kelly as the Liberal candidate for Hughes. Picture: AAP Image/Lukas Coch. 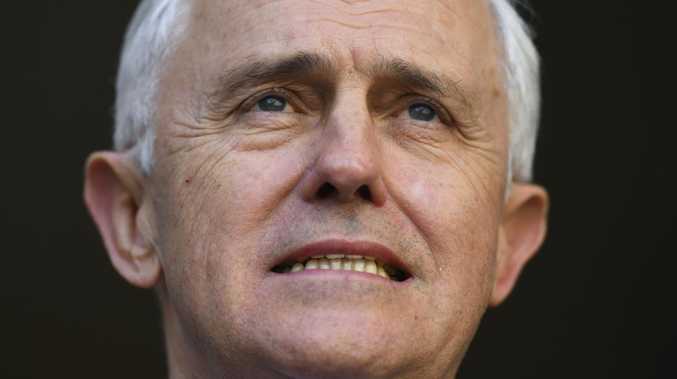 MALCOLM Turnbull today publicly urged successor Scott Morrison to call a snap election early next year to limit harm from his "destructive, mad, pointless" removal as prime minister. Mr Turnbull told a senior Liberal Party moderate that Mr Morrison's plan to re-endorse all MPs was about "keeping his arse" in the job, reports The Australian. "We should force Scott to an early election because all he's about is keeping his arse on C1," Mr Turnbull reportedly said in reference to the Prime Minister's commonwealth car. Mr Turnbull said the damage to the Liberal brand from the leadership aftershocks could bring down Liberal NSW Premier Gladys Berejiklian in the state's March election. "Plainly, the prime minister's determination is to stay in government for as long as he can," Mr Turnbull said. "My view is that it would be manifestly in the interests and producers of the Morrison government to go to the polls as soon as it can after the summer break. "My intention, and Scott's intention for that matter, prior to my being removed as prime minister, was to go to the polls on March 2, and that would be exactly three weeks before the NSW state election." And he strongly urged Mr Morrison to stand up to Mr Kelly - a right wing ally of former prime minister Tony Abbott - who reportedly is threatening to sit on the crossbench if he loses preselection in his NSW seat of Hughes, and "bring down the government". To give in to a threat to "bring down the government" by someone who claims to be a "real Liberal" is extraordinary, Mr Turnbull said. "What the prime minister should be doing, if Mr Kelly has made that threat, is stand up to him and say, 'Well, if you want to go to the crossbench and create trouble, that's your responsibility'," he said. Mr Turnbull rejected reports he had criticised Mr Morrison in private: "I have not bad-mouthed the prime minister. I've given Scott Morrison considerable support, and I've given him considerable advice. Good advice, I might add." "Some of them try to blame it all on people in the media. Well, the media certainly has an influence on politics but ultimately members of Parliament have to take responsibility for their own actions," he said. 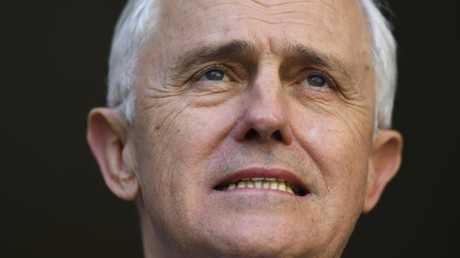 "The government's woes ... are a consequence of a decision made to change the leadership on August 24," he told ABC radio. "The polls, whether the opinion polls or the election results, tell that story. It was, as I said at the time, a destructive, mad, pointless exercise and the Australian people have been appalled by it." And he rejected the claim the party's problems were not being noticed by voters. "I know that there has been this proposition put around that no one's really interested in the leadership change or the internal machinations of the Liberals," he said. "Well the fact is they are and it has done a lot of brand damage to the Liberal Party, and that's something the party's going to have to work through." The ousted Liberal leader said it was his "strong view" the party's democratic process should operate in the normal way. The member for Hughes, in southern Sydney, Mr Kelly is a conservative backbencher close to Mr Abbott and was key in ensuring Mr Turnbull's signature energy policy was torpedoed. There has been chatter that the NSW Liberal Party was set to use emergency powers to cancel all preselections in the state and automatically re-endorse all sitting members - in the process ensuring Mr Kelly would not have to face a challenge from his rival. "I learned there was a move to persuade the state executive to re-endorse Craig Kelly as Liberal candidate for Hughes in order to avoid a preselection - in other words to deny Liberal Party members in Hughes the opportunity to have their say," Mr Turnbull tweeted on Sunday. He said it had been put to him that Mr Kelly threatened to "bring down the government" and go to the cross bench. Fromer Prime Minister Malcolm Turnbull didn’t hold back. "If indeed he has made that threat, it is not one that should result in a capitulation. Indeed it would be the worst and weakest response to such a threat," Mr Turnbull said. 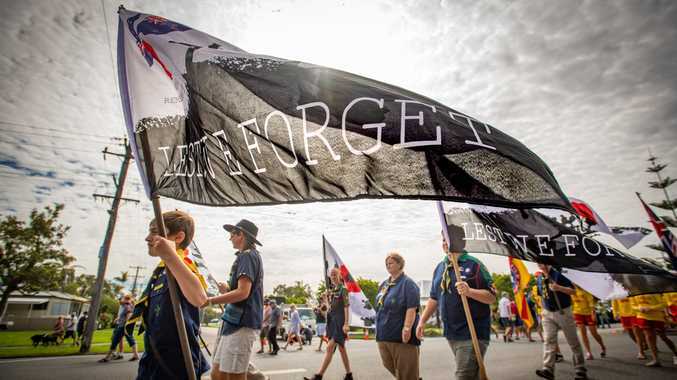 He said the Liberal brand had been made "toxic" by the leadership mess in Canberra, and compounded by state problems, including a lack of gender and ethnic diversity. "(Labor Premier) Dan Andrews successfully convinced Victorians that they shouldn't make a change," Mr Morrison told the Herald Sun. "It's a compliment to Dan Andrews. It's not our job to be spooked." Mr Morrison still believes he can beat Labor leader Bill Shorten. "Of course I can," he said. Senator Cormann says former Labor leader Kim Beazley was "way more electable" in 2001 than Mr Shorten, but he ended up snatching defeat from the jaws of victory. "All of those Labor people, from Bill Shorten down, who are getting really cocky would do well to have another look at what happened in 2001," he told Sky News. "The feds are poisoning us," one senior state Liberal told the Sydney Morning Herald. Last week, Mr Kelly wouldn't rule out a move to the crossbench if he wasn't preselected. That's something the Morrison government is desperate to avoid given its ever tighter numbers in Parliament following independent Kerryn Phelps' win in Wentworth and last week's decision by Ms Banks to head to the crossbench. Mr Turnbull's calls appear to have emboldened the moderate wing of the Liberal Party in NSW which now could reject the plan to suspend preselections once again putting Mr Kelly's future in his seat - and parliament - under threat. Last week, Mr Kelly's downplayed any move to the crossbench. "I have a contract with the people of Hughes. When I put my name on the ballot paper last year as a Liberal member, I entered a contract to serve Hughes for this term as a Liberal member," Mr Kelly told the ABC. "I certainly won't be defecting from the Liberal Party. I am proud to have Scott Morrison as the Prime Minister of this country." However, it's not clear if he made the statements after assurances he would be able to remain in the seat.